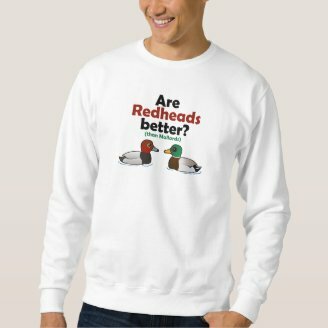 T-Shirt Tuesday: Are Redheads Better? 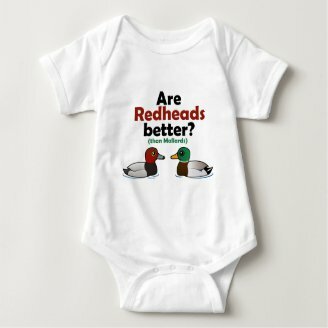 The Redhead is a medium-sized duck that lives in western North America. Mallards have a much larger range and live across North America, Europe, Asia and Australia. This design asks the eternal question: Are Redheads Better? Than Mallards, that is ... Cute gifts here for birdwatchers, duck fans and redheaded bird lovers.